For some reason this month, I had convinced myself that April 15 was my blogiversary. It's not. April 10th was my blogiversary. April 15th is just Tax Day. I feel like a bad mom who forgot her kid's birthday. But to make up for it I'm throwing a sweet party around these parts today. 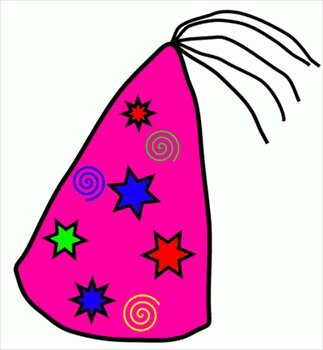 So Happy Four Year Blogiversary to me and Happy Giveaway Day to you! Last month when I went to Fitbloggin' I had the pleasure of meeting the wonderful people from Thriv. 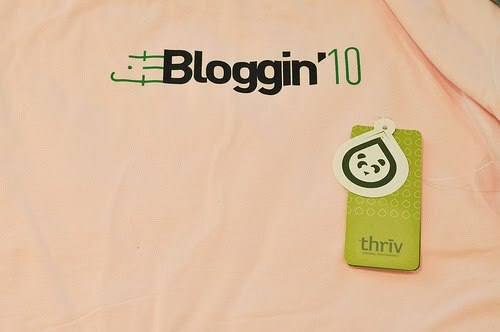 Thriv made the awesome Fitbloggin' shirts that all the conference attendees received. Because they are made with bamboo, the shirts are super soft and I wear mine constantly. The shirts are also supposed to have impressive wicking and anti-odor abilities. Since I don't wear my shirt to workout, I can't attest to that, but it's hands down the most comfortable shirt I own. To help me celebrate my (belated) four year blogiversary, Thriv has offered to send one of their awesome shirts to one of you. 1. Leave a comment on this post telling me how long you've been following my blog. Some of you have been around since the beginning, others of you are brand new! 2. For an extra entry, tweet about this giveaway saying something like: "I'm celebrating @run_girl_run's four year blogiversary and entered to win a Thriv shirt: http://bit.ly/bw0xd8"
3. For another extra entry, ask me a question in my Four Year Blogiversay Ask Anything form. There's more details about this in yesterday's post in case you missed it. 4. For yet another extra entry, post about this contest on your blog. Thriv's shirts are cut differently for men and women so if you win, you have to be willing to give me your shirt size and address so Thriv can send you the shirt. Apologies to all my international readers, but Thriv currently can't ship out of the United States, so this giveaway is only open to U.S. residents. The contest will close Tuesday, April 20 at 5 p.m. Eastern time and I'll announce the winner Wednesday.